came to an end in 2010.
performance by Exit Calm in 2009.
and will be on sale soon. Watch this space. We've also updated our website with details of a few great gigs in May to look forward to. On Friday 2nd May we have The Sights who will kick off the bank holiday weekend with support from Hunting Helen, The Silhouettes and Josh Vallance. The evening of live music will commence from 8pm and entry is �3 on the door- a real bargain for four quality acts. The same weekend, on Sunday May 4th, it's the 2nd annual bank holiday Acoustic All Dayer from 2pm. 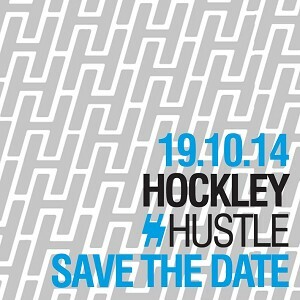 Bands booked for the free event include North Road, Harriet, Ricky Fleming and Emma Bladon Jones amongst many others. The posters are up in the pub and there are flyers around the city to keep an eye out. We're also lucky enough to be hosting Hot Money as they launch their brand new single Drown on Saturday 31st May, this will also be �3 entry and more info about this can be found on our home page and on our Facebook page. We'll tell you more about this gig in our May blog. h2t. Nottingham Panthers fans will have been left shaking their heads after their arch rivals stormed into town to win the Elite League Play-Offs title on their own ice. With defending champions Panthers only able to watch, after being knocked out in the quarter-finals by Braehead Clan, Sheffield Steelers went on to claim a dramatic 3-2 overtime success over Belfast Giants. 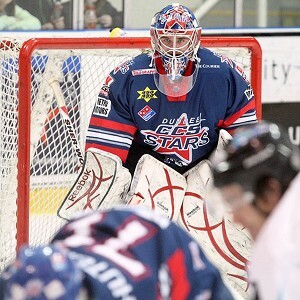 Belfast had edged past Fife 1-0 on Saturday, while Steelers beat the Clan 3-2 to set up the final showdown a day later. The Giants and the Steelers ended regulation tied at 2-2 in what had been a tremendous final where all the goals had come in the second period. But only 1.34 into overtime it was defenceman Drew Fata who ignited the huge Steelers following in Nottingham when firing a bullet past Stephen Murphy to give his side victory. We were absolutely packed all weekend and it was an amzing experience for Nicky, who enjoyed his first Play-Off weekend at Bunkers Hill.